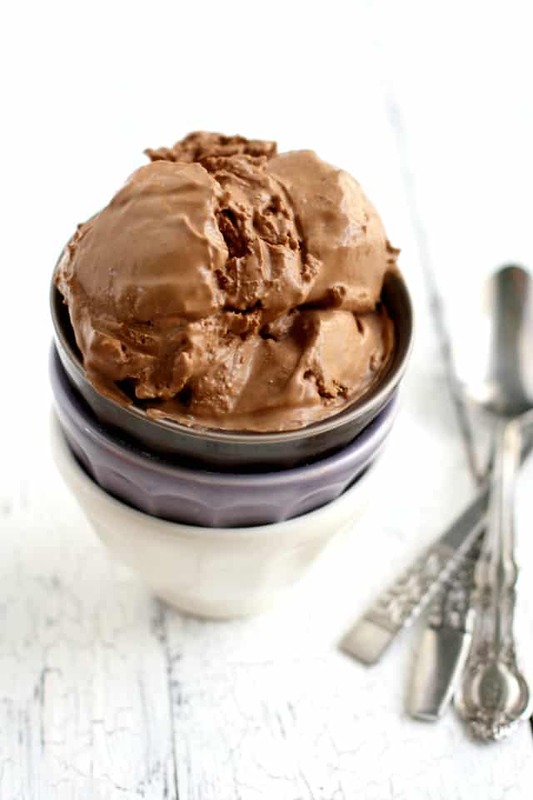 Home » Dairy Free » Extra Creamy Vegan Chocolate Ice Cream. Extra Creamy Vegan Chocolate Ice Cream. 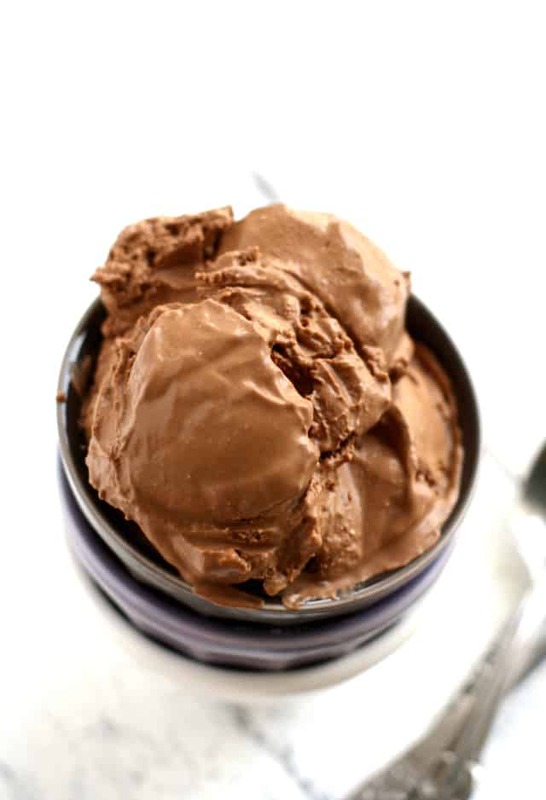 This extra creamy vegan chocolate ice cream is made with just five ingredients! Perfect for a hot summer day. 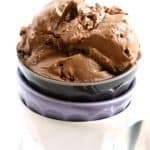 Since chocolate is kind of a universal favorite, I decided that I’d have to experiment and come up with a great recipe for vegan chocolate ice cream. This one is SO simple – just five ingredients, and there’s no heating or cooling of the ingredients. It’s so easy – just mix it up, pour it in the ice cream maker, and you’ll have extra creamy vegan chocolate ice cream about 20 minutes later! 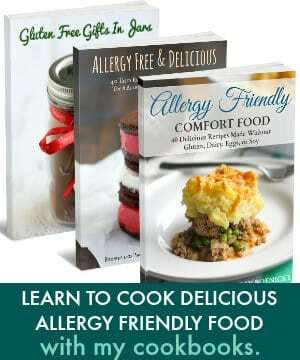 You might wonder about making ice cream without dairy – it can be truly delicious – the coconut milk is an awesome way to make creamy dairy free ice cream. This easy vegan ice cream recipe is one that you’ll turn to again and again! If you’ve never made coconut milk ice cream before, it’s good to note that it’s best straight out of the ice cream maker. If you do decide to store this homemade vegan ice cream in the freezer, you will need to thaw it out for about 30 minutes before it’s ready to scoop. I have this ice cream maker (affiliate link), and I love it. I store the bowl in the freezer, and it’s ready to go whenever I want to make ice cream. 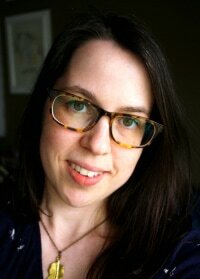 It’s also a really nice size – I can keep it out on the counter without it taking up too much space. If your ice cream maker is different, the amount of time required to make the ice cream may vary. 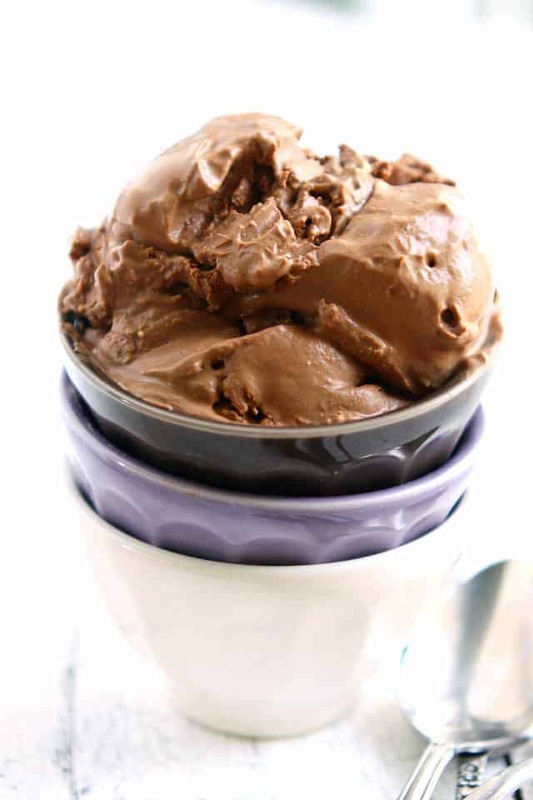 Rich, creamy, delicious vegan chocolate ice cream made in the ice cream maker! Pour the ingredients into the ice cream maker and follow the manufacturer's instructions. Enjoy immediately! If you plan to store it in the freezer, it will become quite hard. You will need to thaw it for about 30 minutes before serving. *I prefer So Delicious Culinary Coconut Milk, but if you can't find this brand, I would suggest using coconut cream. a great base for many different ice cream flavors – add crushed cookies, brownie batter, chocolate chips, candy bars, and more! 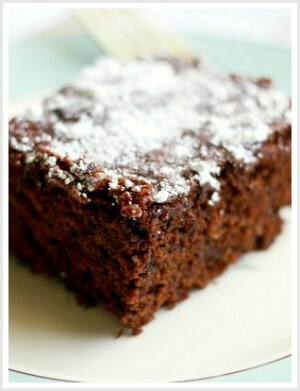 « Superfood Chocolate (Paleo and Vegan). I don’t have any ice cream maker, is there any other way to do it or do i have to buy one? I made it, it did not disappoint! 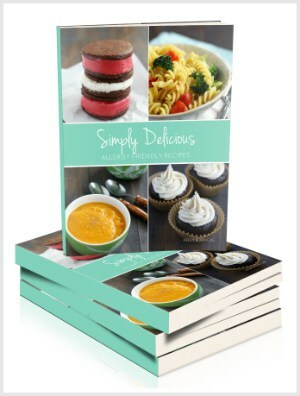 Amazing recipe, thanks for sharing! This makes our newly dairy/egg/peanut free household very happy! What size containera please. There are many different sizes. Thx!!! I haven’t used my ice cream maker yet this summer, but you’re making me realize I really need to! I love how creamy this chocolate ice cream looks! It sounds so quick and easy to make, too. Oh my gosh. Seriously only five ingredients in this gorgeous ice cream?? I’m speechless and completely wishing I had a big bowl of this ice cream for breakfast right about now! Love how creamy and rich it looks, Kelly! Vegan chocolate ice cream?! Sign me up! This looks incredible, Kelly! Oh my gaaawsh it looks sooooo creamy! I’m starting at my new addiction, for sure! This looks so creamy and decadent and delicious! I loveee using coconut milk as an icecream base!